The future of East Lansing’s elementary students will meet its fate on May 2. School district residents will vote on a bond that would pay for the reconstruction of six schools. The School Board proposed the bond and is asking to borrow $93,770,000 to be repaid through property taxes. The affected schools are Donley, Glencairn, Marble, Pinecrest, Whitehills and Red Cedar, which was closed in 2012. If approved, construction would begin May 4 and end Sept. 21, 2021, according to the preliminary construction and design schedule put out by East Lansing Public Schools. The state estimates that school buildings have useful lives of 40 years. All the district’s elementary schools were built over 50 years ago — the most recent renovation taking place more than 20 years ago, according to bond facts released by the district. Previous bond approvals include one in 2000 that funded building and site improvements at the high school and middle school and in 2013, a bond funded instructional technology improvements throughout the district. If this bond passes, each school would be renovated to give students what is being dubbed a 21st century education. Graham described 21st century education as giving students space to move around. Red Cedar Elementary will be the first to be refurbished if funds become available, said Meadows. If approved, the community will have the opportunity to participate in the final planning, design and implementation of each facility, according to the East Lansing Public Schools bond facts. In August of 2016, the Board of Education appointed a Community Bond Committee to review and evaluate the six elementary school buildings. The committee’s objective is to ensure that all buildings offer students maximum educational opportunities and bring the aging elementary buildings up to par with the high school and middle school, which have both been upgraded in recent years, according to bond facts released by the district. 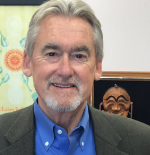 Mayor Mark Meadows said that in East Lansing, education is our business. According to the district’s bond facts writeup, property taxes would increase approximately $7.50 per month, or $90 per year, for every $100,000 in market value of a home over 25 years. ‘Plan B’ follows earlier defeat in 2012 voters rejected a bond that would have funded the same renovations that the current bond covers. She explained that while the bond may not be perfect for everybody, she looks at it as a compromise that has a positive component for the entire community. But some residents, like former school board president Rima Addiego, aren’t convinced. She remembers the failed bond. “One of the most important experiences that I had was listening to district voters talk to me about the bond in 2012,” she said. Addiego said she cannot imagine a bond of this size passing. 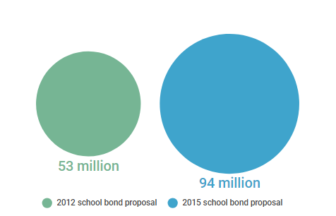 The proposed bond would nearly double the amount of money being spent on elementary schools. “The overwhelming reason that the folks who voted no claimed was their reason was that it was too much money,” she said. It failed because of sticker shock. Another variable factoring into her opposition is the reopening of Red Cedar Elementary school — a school she decided to close down nearly four years ago. It’s not a good time to revive another school, she said. At the other end of the spectrum there is a prevalent belief that, despite the sticker shock, this bond will provide students with a better education. Roberts looks beyond the $93 million price tag. Haslett resident Richard Liscombe is for the bond, too. Some residents are convinced that the 21st century classrooms are crucial for today’s students. “It’s for our community, said resident Jill Berryman. “The kids are our future and it’s been proven that if you have a nicer building or a nice environment, that you’ll learn more. s at polling locations that are established by their city and township on May 2. 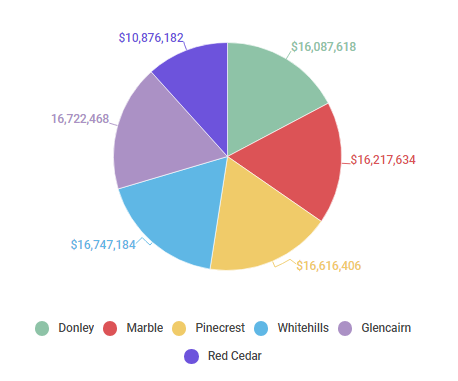 Polls open at 7 a.m. and close at 8 p.m.
Ingham County Parks Commission hopes to keep expanding parks and trails for residents. Its mission is to connect neighborhoods and to encourage residents to enjoy recreational activities outdoors.